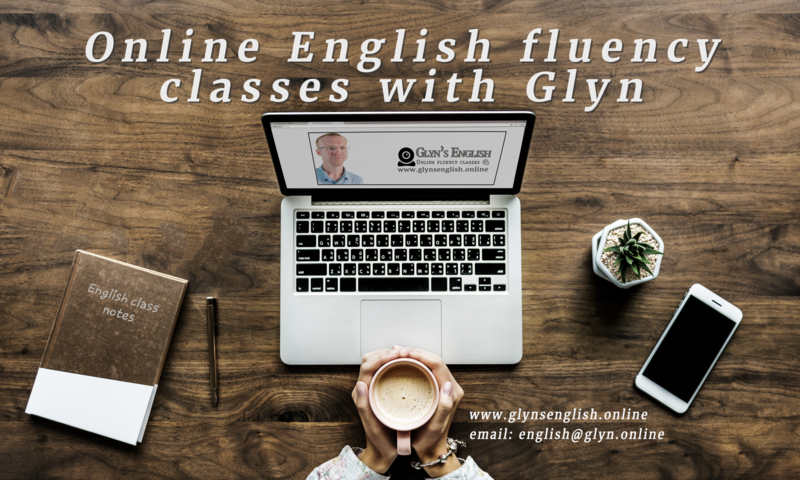 At Glyn’s English Online I offer short but intensive online English language classes. My aim is to offer quality classes that fit into your busy and changing life. I do this by using the best resources on the internet to easily schedule classes, share materials and meet in my online classroom. I individually prepare each of your classes to help you develop your language skills and meet your goals. Excellent value for money as your class is focused totally on you. I’ll offer up to 30 minutes of extra out-of-class activities using a range of material. You’ll receive written feedback and a video recording of the class that you can review later. Classes sound great but want to know more about who I am? It all sounds great right? So what next? Well, Let’s talk. Want to take the next step to improve your English? Well, I’d love to hear from you. Use the form below to send me a message. Share with me a little bit about yourself and your plans for your English, and then I’ll write back to you.